Professor Gong Lijun is Associate Professor in the Environmental Arts Design Department of Tianjin Academy Fine Arts. She teaches Planning Basics, Urban Landscape Design, Site Planning Design, Introduction to Landscape Design with Ecology. She has Bachelor of Architecture and Master of Art degrees from the Urban Construction College of Huazhong University of Science and Technology. She has worked for 18 years as a senior engineer in the field of general layout planning and design and later as Design Director of TEDA Construction Company, one of the largest developers in Tianjin, China. . She is a registered Urban Planner. 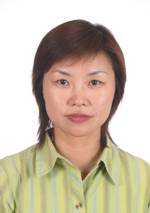 She has designed and completed a number of outstanding projects in Tianjin, China.